SCADA Ex - FLAP spol. s r.o. SCADA Ex consists of components for use in potentially explosive atmospheres. It is part of system control, management and visualization of various technological processes. 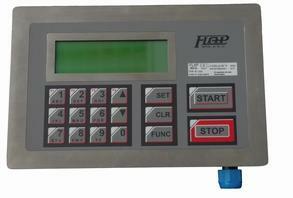 The system consists of modules which are interconnected by a fieldbus based on line 485. Modules can be located either at one point or at different places connected line 485, the length of one segment is up to 200 meters (or 1400 m - depending on application). Manufacturing is in accordance with ISO 9001/2000. Modules SCADA Ex is fully compatible with series of modules SCADA and the control system for use in potentially explosive atmospheres MFT1000. In a simple application operates one terminal connected to the device MFT1000 and allows the operator to intervene in a controlled process (everything in the Ex area). SCADA system monitors and controls the process through the Ex barrier and with Ex Terminal displays system status and allows the operator to intervene in the process in Ex zone. EBox system (eg with modules SCADA) monitor and control the process through the Ex barrier and the using Terminal Ex (max 4) shows the system status and allows the operator to interfere with the process in Ex zone. Other connections are a combination of modules and systems based on mutual compatibility of systems eBox, SCADA, SCADA Ex and MFT1000.